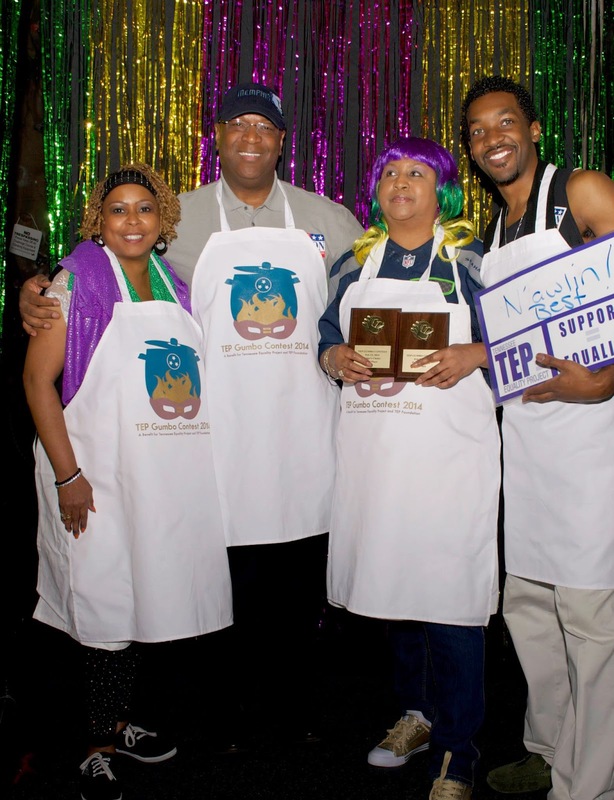 Tennessee Equality Project is proud to host its 8th Annual Mardi Gras Party and this year’s 6th Gumbo Tasting Competition on Sunday, January 24, 2016 at 4:30 PM at the Bridges Center on 477 North Fifth Street in Downtown Memphis. In addition to payment for team registration, ALL gumbo teams must complete this entry form to compete in the contest. Be sure you have read the contest rules. VISIT THIS LINK if you have not paid your team registration. In this entry form, you'll need to provide the following information: Team Name, Team Leader Name, Mailing Address including city, state and ZIP code, email address, phone number, names of other team members, heat source for your gumbo (canned heat or butane stove), gumbo category (seafood, non-seafood, vegetarian or vegan) and your pledge to follow the rules of the competition.